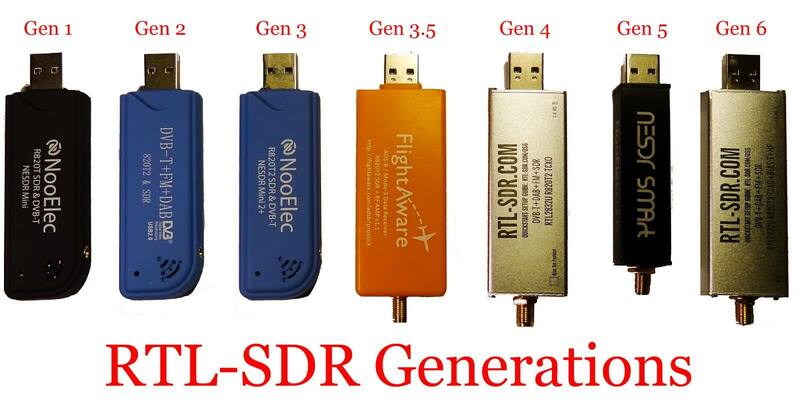 Akos from the RTLSDR4Everyone blog has recently released two new posts. The first post is a tutorial on the set up and use of SDRUno. SDRUno is the official software of the SDRplay, but supports the RTL-SDR too, albeit with an artificial 0.96MSPS (1 MHz) sampling rate/bandwidth limit. The guide starts from the download of SDRUno, shows how to select the 0.96 MSPS sampling rate and goes over the interface and some of the features of the software. In his second post Akos discusses the topic of what he feels is the different generations of RTL-SDR dongles that we’ve seen come out over the years. He also speculates at what new features we might see coming in the future. I can attest to Akos comments on the audio quality of the SDRuno program, it’s the best I’ve used with the V3 so far. The agc is very smooth, no pops, undershoots, overshoots, any of that lot as found with so many agc systems today, and I attribute the app’s performance largely to the carefully thought out agc system. Weather 80m HAM ssb voice signals or fast fading digital signals from several thousand miles away, excellent decoding results and audio are common. I used to employ HDSDR exclusively, but from now on SDRuno will be the goto sdr app of choice, now that I’ve finally got it working lol. And no I don’t work for them either. Boy can Akos craft a great article, specifically the one on the evolution of the dongles. I’ve had extensive experience using both the Nooelec and RTL-SDR.com dongles for several years and each new version brought new features and exemplifies how companies continually improve their product line to increase consumer satisfaction. Thank you Akos for an excellent summary!